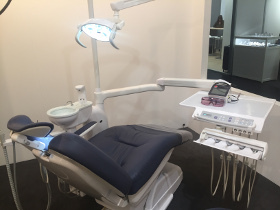 Thank you very much for your visits to our Osada booth at IDS2019. We appreciate a lot of feedbacks and opinions given at our booth. 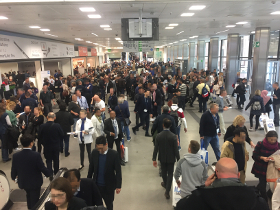 The world biggest dental show, IDS, the International Dental Show, where about 160,000 people gather from over 150 countries and regions, was held at Cologne, Germany, from 12th March to 16th March 2019. 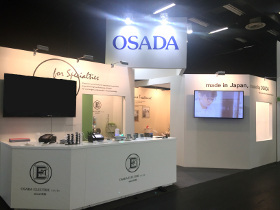 OSADA also joined and exhibited company's major products. 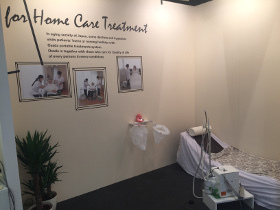 At our OSADA booth,products were exhibited at two sites, one at an individual cabin which make people imagine easily the dispensary room and another is the space where people touch and feel the products directly. 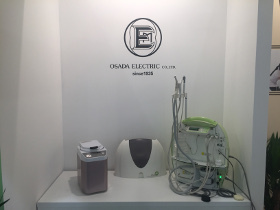 In the individual cabin conjured up the dispensary room, our Standard Unit Model, OSADA SMILY INICIO was displayed and in other individual cabin, the Portable Unit DAISY which is for the home visiting treatment being popularized in Japan and Portable Unit LILY for the dental hygienist were displayed. 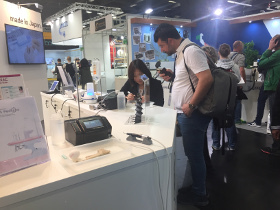 At the Demonstration Spaces facing to the passage, the Apex locator 'Apit 15','Apit 11' , Dental piezo electric bone surgery device 'Falcon', Dental laboratory electric handpiece 'Success 40' were displayed and a lot of visitors touched and felt those. The visitors who really touched and observed the products were admiring the high quality of the products and the excellence of usability. 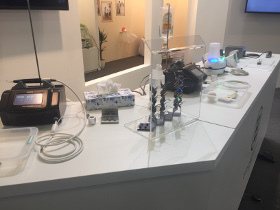 Semiconductor laser ' Light-surge Celby' which is so compact that can be put on the dental unit table is also exhibited. 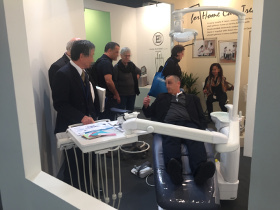 The Light-surge Celby which is the collection of superior technology of OSADA was drawing the attention of good amount of visitors. Steam Autoclave device, Exclusively for Instruments, 'Petit Clave 11' , was also proudly exhibited. We are looking forward to the next opportunity of the exhibition.